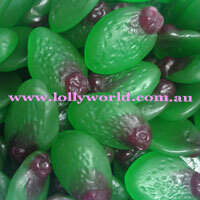 Sour Feijoas online and in store at Lollyworld a World of Lollies. Sour Feijoas by Maceys in New Zealand. With that zesty feijoa flavour these lollies will bring up memories of the home land and the national fruit.